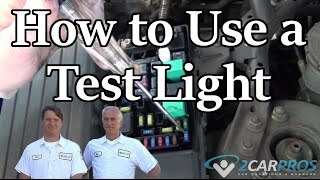 Horn Relay: How Do You Test to See if the Relay Is Good? How do you test to see if the relay is good? Hello, thanks for visiting 2CarPros. To test the relay you will need a fused jumper wire and a non fuse one. You will connect the fused wire to the positive battery terminal and the other end to pin 1 of the relay. The other jumper wire will go to the negative terminal of your battery and pin 2 of the relay. You'll then need to use a multi meter set to continuity or the lowest ohms scale and place one probe on pin 3 and the other on pin 5. You should have continuity or 0 ohms resistance. I'll post pictures below showing the terminals. 1999 Toyota Corolla My Car Horn Won't Work. I Checked The Fuse, And It's Fine. I'm Not Sure What Else To Do. Please Help Me!